But seriously, Scott began writing film reviews in 2010 for Wicked Local Newspaper Inc. His very first review was Ben Affleck's "The Town." 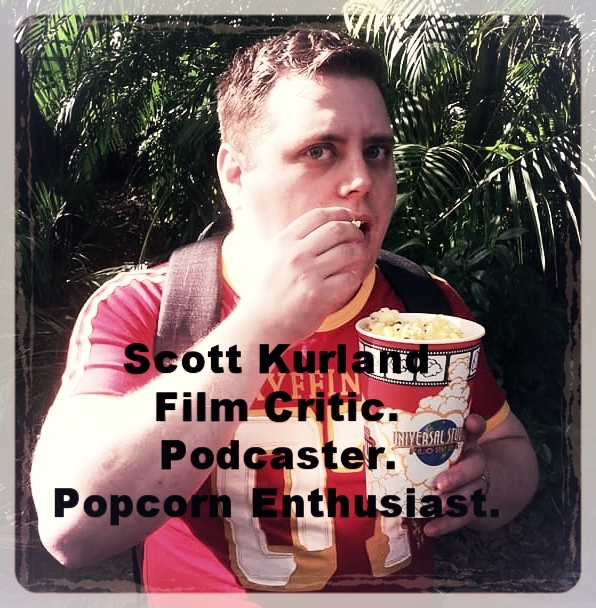 Since then, he has posted countless reviews highlighting the good, the bad, and the "Meh..."
In addition to the title of film critic, Scott has also added "podcaster" to his list of credentials. His two podcasts include "Writer's Bagel Basket" (which he co-hosts with his friend and dance partner Dwight Stearns) and "Kurland On Film" (where he and his wife Hayleigh review whats new in the world of cinema-FYI she hated La La Land...and it tears Scott up every damn day). When Scott isn't reviewing movies or recording podcasts, he continues his quest to discover who has the other half of that amulet he found inside a Cracker Jack Box. He also enjoys sharpening his culinary skills; without which his wife would surely starve.